SignalR is wonderful asp.net app enhancement best suited for adding real-time functionalities to web apps and also helps in writing scalable Internet apps. SignalR asp.net program is written in C# language that minimizes overhead and puts more scalability to apps. Earlier, it was necessary to refresh the web page to see the changes but SignalR has eliminated that problem. Now changes can be visualized immediately as soon as they are saved to code file. Take an example of gaming website where you can check live scores of a cricket match. Earlier, users have to refresh web page after every few seconds or minutes. This was really irritating and sometimes interesting updates were missed by the viewers. The introduction of SignalR has removed that problem, now websites will get refreshed itself as soon as new changes will arrive at the script. This was a significant achievement by Microsoft team in asp.net application development. 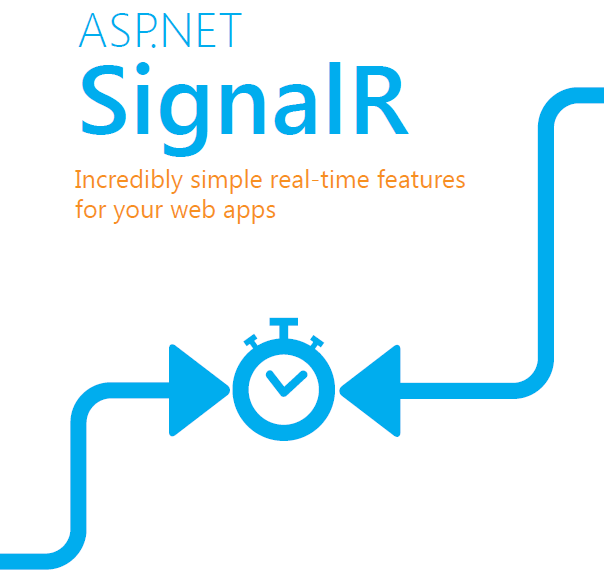 Make your web apps more responsive and instant with SignalR. We can say the objective of designing SignalR in asp.net development was to updating web apps itself, without the refreshing current page. It will add more real-time functionalities to your web app that includes chat rooms, dashboards, monitoring apps and much more. It also improves connectivity between client and server where you don’t have to re-establishing a new connection for each request. This is a powerful program managed remotely by GitHub. The advantages are just the endless and especially good for web lovers. SignalR uses an API to create a Remote Procedure Call(RPC) between Server and Client which call JS Functions in client browser from Server side .Net Code. To manage and Group Connections, SignaIR includes API. Connection Management is done automatically in SignalR and it broadcasts messages to all connected clients at the same time just like a chat room. You can send a message to an exact client also. The connection between client and server is continuous so it doesn’t need re-establishment for each communication. SignalR uses WebSocket connections and it also provides facilities to fallback to other transports if necessary and revises an application to update it to WebSocket implementations. SignalR is a concept same as the transport which is requires to do real-time transport between client-server. The signalr connection is started with HTTP and then it transfers to WebSocket if it’s possible. WebSocket is the perfect transport for SignalR because it uses the server memory most effective way, lowest latency, and other features. To know more on SignalR and asp.net enhancements, contact our asp.net development team now.